Somebody is seriously messing with Lukas Franke. Hackers turn this ordinary man’s life upside down for unknown reasons, ruining his career and threatening his marriage. He may end up in jail. 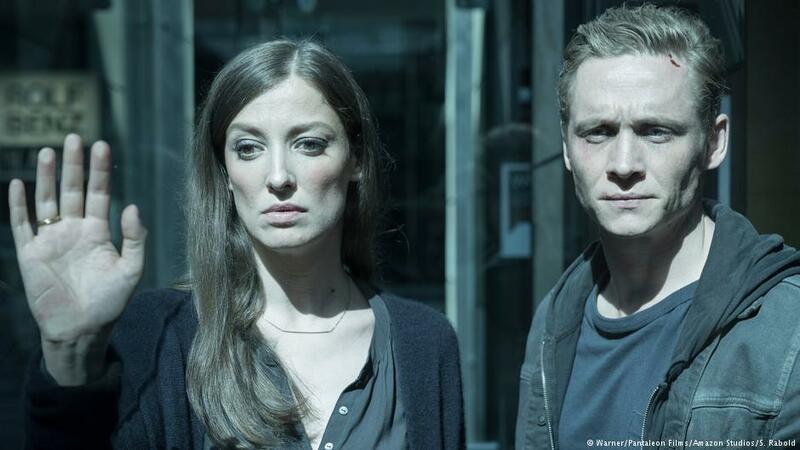 You Are Wanted, a TV series from Germany via Amazon Prime, is a cautionary tale for the digital age, but also one heck of a cyber-thriller. We binge watched it in a single day, something the netTVwatch team hasn’t done in a while. 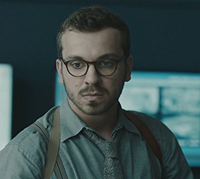 Franke, played by Matthias Schweighöfer (also a co-producer and director on the series), is every man. He works at a nice hotel, is married to an attractive woman with a successful career, and has a young son. The family lives in a suburban Berlin home. When the city’s electrical grid goes down without warning, a digital trail leads to Franke. Then, things go from bad to worse. The police decide Franke belongs to a hacktivist group with larger crimes in mind. Meanwhile, Franke is trying to figure out who is doing this to him and why. There is some complexity to the characters. Perhaps, Franke is not as innocent as he seems. The police investigating him, a cigaret smoking, female detective with asthma and her ambitious partner, are a seemingly mismatched team. There is also a hard-to-find, young, hacker mastermind and the mystery of a burning man who jumped or fell out of a high-rise window. You Are Wanted reminded us at times of Mr. Robot, certainly a source of inspiration. It has some of the excitement of the first season of The Code (that was missing in the second) and is similar to, but much better than, Framed. While the story in You Are Wanted is not particularly original, it’s executed very well. Franke and family are likable folks, and the acting performances are solid. The show also moves at a fast clip; there’s not a lot of time to consider and turn skeptical. The writers are smart enough not spoon feed us, too. Not everything is immediately clear and there are some good twists and deception along the way. You Are Wanted is also concise at six, 45 minute episodes. The lack of filler serves it well. Though the series is German, it is an Amazon production, with Warner Bros. as one of the co-producers. We think it deserves more promotion on Amazon, as it is currently heavily overshadowed by Bosch, season 3. 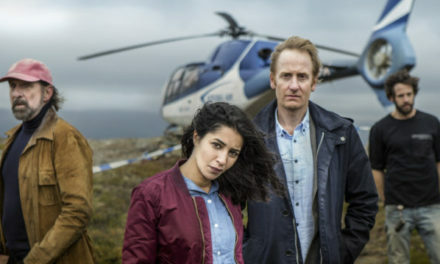 If you like conspiracy thrillers, the You Are Wanted TV series is a fast, fun ride. In German, but without subtitles, the trailer does not give too much away!